Today, more than ever, organizations are challenged by the growing number of regulations and privacy acts. The momentum spans all verticals and geographies. 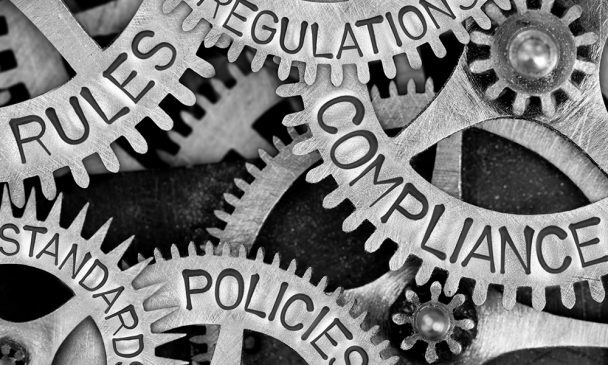 Many organizations need to comply with more than one regulation, and are struggling with the increased complexity of technical implementations. Imperva solutions help organizations implement regulatory requirements across multiple regulations and streamline compliance efforts. Basel II requires banks to improve their risk measurement and management systems. The banks are required to manage the location of data, access to sensitive data and tracking usage of data. Imperva Data Risk Management solutions locate sensitive data, assess vulnerabilities and configurations, manage user access rights to sensitive databases and files and audits actual data usage. The GLBA Safeguards Rule requires all financial institutions to protect customer information. Imperva data security solutions protect customer information from breach attempts, leakage and theft, block unauthorized access and attacks targeting customer data, provide a complete audit trail to support forensic investigations and enable data risk management. The Monetary Authority of Singapore (MAS) issued the Technology Risk Management (TRM) guidance and legally binding Notices requiring financial institutions to adopt risk management principles and security practices for managing and controlling technology risks. Financial institutions are expected to implement systems, procedures, and processes to mitigate the risk of external and internal threats. To learn more, click here. NAIC revisions to the Model Audit Rule require insurance companies to implement similar controls as provisioned by the Sarbanes-Oxley Act. Imperva audit and security solutions enable insurance companies to certify the integrity of their financial records by auditing privileged activity and changes that impact regulated data, and automating compliance reporting processes. The 21 CFR Part 11 regulation requires FDA regulated industries to implement controls over electronic medical records and systems processing electronic records. Imperva data security solutions provide the required controls including audits, system validations and audit trails for systems involved in processing regulated electronic data. The ORC1347.15 requires protection of personal information. State of Ohio agencies are relying on Imperva data security suite as it provides unique ability to monitor and protect privileged information by providing a complete audit trail of user activities through web, file and database activity auditing. The SB1386 is a California law regulating the privacy of personal information. It requires anyone who conducts business in California to disclose security breaches to residents whose unencrypted data has been disclosed. Imperva real-time notifications can protect unencrypted data from wrongful access and block data breach attempts. The Massachusetts Data Privacy Law requires implementation of technical controls aimed at preventing breach of personal information. Imperva data breach prevention solutions protect personal information from breach attempts, leakage and theft, block unauthorized access and provide a complete audit trail of information usage. The European Parliament directive 2009/136/EC is concerned with protection of privacy of personal data. The new provision requires telecom and ISPs to immediately notify about security breaches such as the theft of customer personal identifiable information(PII). Imperva data security solutions provide real-time alerts and protect against data breach attacks directed at web portals, databases and files. ITAR and EAR require that all information and material related to ITAR controlled technology is accessed only by authorized personnel. Imperva Access and User Rights Management solutions enforce access controls to ITAR-related information in files and databases, and manage user rights over regulated data. IRS 1075 provides tax information security guidelines for federal, state and local agencies. It requires that personal and financial information in IRS systems is protected against unauthorized use, inspection or disclosure. Imperva data security solutions address multiple sections of the guideline, including audit and security guidelines ensuring that access to FTI (federal tax information) is limited to those individuals who are authorized to access and have a need to know. The Defense Information Systems Agency (DISA) provides federal organizations with Security Technical Implementation Guides (STIG) for improving and maintaining the security of Database Management Systems. Imperva provides out of the box policies to support the implementation of the DISA-STIG requirements for database security. Published by the Defence Signals Directorate (DSD), ISM provides Australian government agencies with a set of detailed controls that can be implemented to mitigate risks to their information and systems. The manual is the standard which governs the security of government Information and communications technology (ICT) systems and it is an important part of the Australian Government’s strategy to enhance its information security capability. Electricity, natural gas, and oil companies are required to implement preventive measures to comply with FERC regulatory requirements. Imperva access and user rights management solutions prevent unauthorized access to regulated data and improve controls to prevent data breach attacks. SAS 70 provides assessment guidance to auditors assessing service organizations. The guidance is based on the COSO model of controls also adopted by Sarbanes-Oxley. Imperva assessment and data risk management solutions enable auditors to conduct risk assessments, validate configurations, audit changes that impact regulated data and streamline compliance reports. In April 2011 the U.S. Department of Education announced a series of initiatives to safeguard student privacy. Educational agencies and institutions must provide students with access to their education records, but should not release student records or share them with other agencies without the student’s consent. Controls are required to ensure that only authorized personnel can access student records, and all access is audited. Read the whitepaper to learn more. Why choose Imperva for regulatory compliance needs? Imperva SecureSphere, Imperva CounterBreach and Imperva Camouflage provide data protection solutions that automate data security and protect websites, applications and databases wherever you deploy them. Discover hidden database risks and protect your business data.